Eagle Pose is also known as "Garudasana". Garudasana or Eagle Pose is balancing yoga pose. 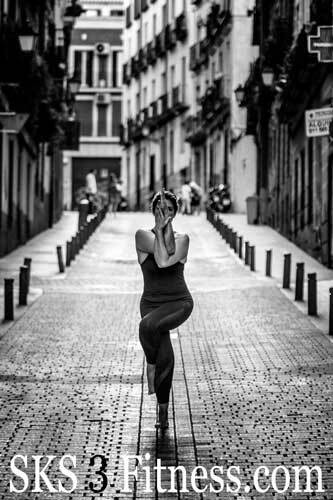 Garudasana is the combination of 2 Sanskrit words, 'Garuda' + 'Asana'. 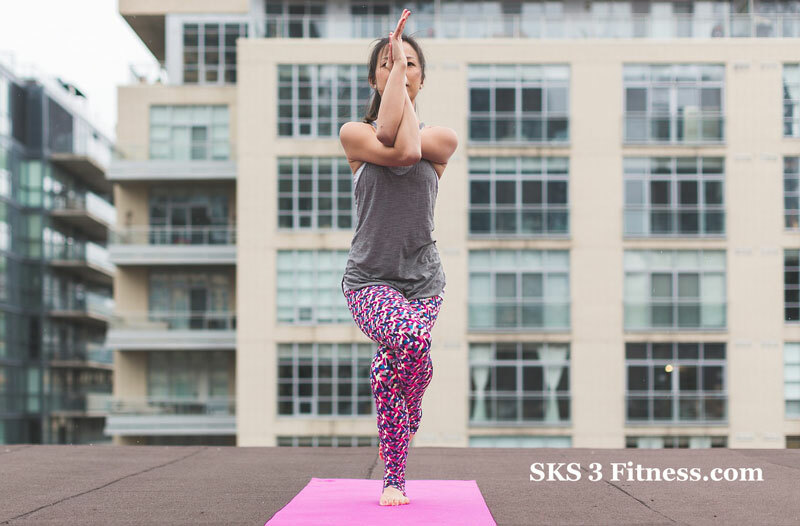 Garuda means 'Eagle', and Asana means 'Pose'. How to do Eagle pose? Now slowly lift and bend your right leg from knee and wrap it around the left leg as shown in picture above. Maintain the balance on left leg or foot. Now cross your arms from elbows - left over right OR right over left (your choice) & join the palms of your hands. Your breathing must be gentle and at normal depth, while doing this Yoga pose. To maintain the balance focus on fixed point of wall or anything. Gently breathing also helps to maintain the balance. Then slowly bring your hand and foot back to the original position. Now just change the leg & arms position, this time take left leg and bend it from knee. Regular practice of Eagle Pose improves balance and co-ordination of the body. This Yoga pose helps to relief in sciatica and rheumatism. This Yoga pose stretches and helps to strengthen hips, thighs, shoulder and upper back etc. This Yoga pose relieve cramps of the legs. This Yoga pose improve the body flexibility especially lower body. Regular practice of Eagle Pose increases concentration. This Yoga pose stretches and strengthen ankles and calves. Those who have knee-joint pain or ankle-joint pain should avoid to do Eagle Pose or Garudasana. If you have a Low or High Blood Pressure, Headache and Insomnia then avoid Garudasana.